Whether you like a subdued holiday decorated home, or you like to go all out with the holiday glam, there is one thing we all enjoy, sparkle. Sparkle can come from shiny metallic ornaments, glistening glittered covered decor, or twinkling Christmas lights. Regardless of where you find sparkle, the holidays are the number one time to bring it out in abundance! 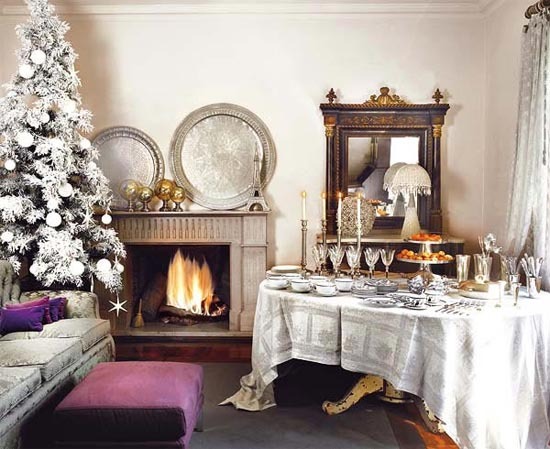 If you are trying to find some ways to bring out your interiors with festive sparkling decor, here are 10 ways to brighten your holiday home this season. 1.) Bring out the glam! Let’s face it; the holidays are the one time of year that the phrase “Go big, or go home” fits perfectly into holiday decor. From decorating with shiny metallic garland and ornaments on the tree, to collecting trinkets in metallic finishes and grouping them together in a tablescape vignette. Pick a metal and find varying shades, finishes and textures to bring out all the shine of the season. 2.) Vintage collectibles: Do you have any vintage silver that can be polished, or silver-plated ornaments that have been handed down from generations? The holidays are the perfect time to show them off. Polish up your vintage finds, and display proudly at the holidays. 3.) Crystal lends a sparkle: Most of the time we think about metallics for sparkle, how about shimmering crystal? From your chandelier over the dining room table, to the gorgeous candlesticks that align the center of your buffet table, crystal dinnerware, stemware, candlesticks, and matching accessories can bring an air of sophistication to your holiday dining experience. 4.) Outdoor sparkle: While your interiors are always the main attraction, don’t forget your outdoor holiday home. Hang a decorative wreath at the front door, sparkling with white twinkling lights, and hang swags of garland from around your front entry. Play up your exterior home features such as railings, columns, and walkways with lighting for extra sparkle, and safety at night. 5.) Simple and easy sparkle: While we all would love for our homes to look like a holiday model home out of an interiors magazine, some would prefer to get the look without taking a lot of time to execute! A simple idea, take your favorite glass or metallic bowl and pile it high with coordinating metallic Christmas ball ornaments from your tree. You will be surprised how a 5 minute project can make an instant centerpiece! 6.) Light up your interiors: There is something quite magical about Christmas lights. From the way they sparkle and dance around a tree, to stringing them throughout your home for added ambiance, lighting can change your home in an instant. For a creative fireplace mantle, string lighting around garland, a wreath that adorns the fireplace above, or gather lights in decorative apothecary jars along top of your mantle. 7.) 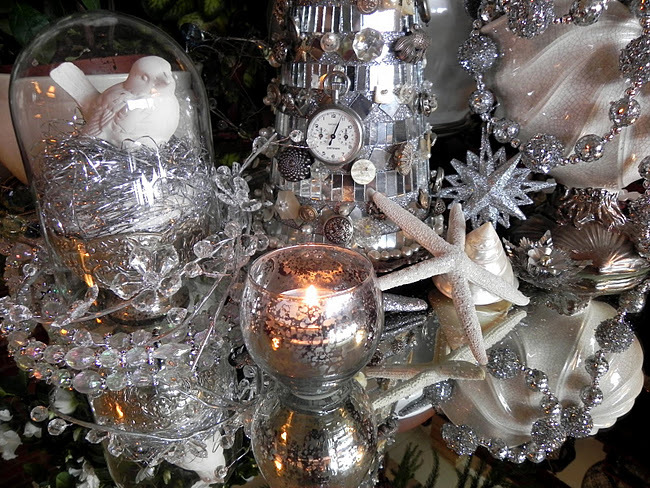 Non-traditional sparkle: It’s always great to see Christmas decor cycle through history. Years ago metallic trees were a huge hit, in pastel colors and funky psychedelic colors! Today the trend is for more subdued colors, but still with a kick of color and sophistication. 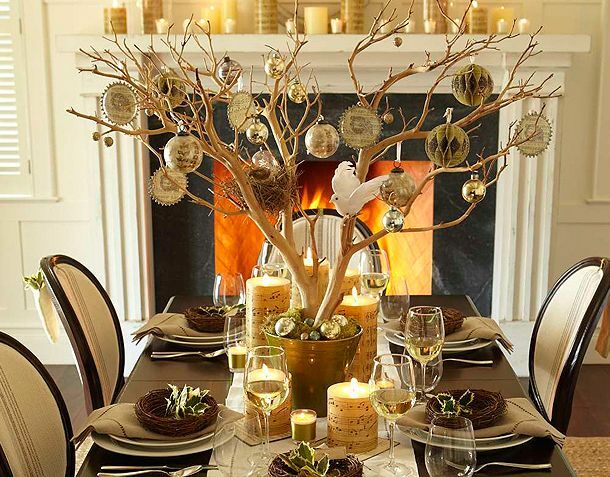 Take cues from your interiors and match your tree, ornaments, and decor for added sparkle. 8.) Add sparkle to your gifts: One of the easiest and most forgotten ways to add sparkle to your home is by adorning Christmas gifts with playful metallic ornaments, ties and shiny ribbon to bring out added cheer to your Christmas tree. After all, the tree’s accessories are the beautiful gifts that surround it, right? Don’t forget metallic wrapping paper too! 9.) Sparkling details: While Christmas ball ornaments are the most traditional decorative element on the tree, don’t forget about one-of-a-kind treasures. From handmade varieties, to a themed Christmas tree with ornaments that all tell a story. Add sparkle to your holiday tree with these special individual ornaments. 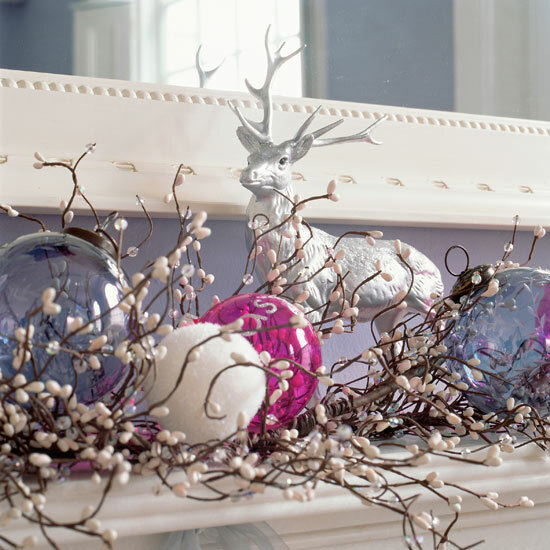 Try using non-traditional colors to adorn your fireplace mantle too! 10.) Reach back to your childhood: What are the sparkling elements you remember? From silver bells adorned with big red bows, to shiny vintage ornaments that your grandparents used to tell you ‘Don’t touch!’ Bring those memories back for your children and pass the sparkling tradition to family and friends! Your holiday home is waiting for sparkle and magic this season. Find creative ways to bring in shine, whether it is subtle or bold, traditional or modern, your home can’t wait to be adorned with these festive aesthetics of the season. For an added bonus, decorate your Christmas tree with family and friends and find new ways to bring in sparkle. Try these 10 ways, and let us know if you come up with anymore, we could always use more tips!